Penelope’s surrounded by all the suffocating privilege and protection her family can provide, but they can't protect her from the autoimmune disorder that causes her to bruise so easily. And in her family's line of work no one can be safe forever. First Line: "Once upon a time nine years ago, to be exact I didn't know anything about the Family Business." Review: I was so excited to read this. 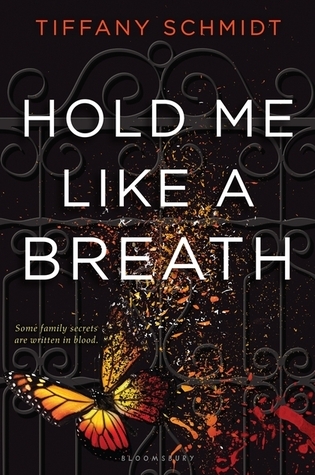 First off a title like Hold Me Like a Breath grabbed my attention because that's a very interesting play on words and it got me curious about the book. Then when you read the blurb and see it's about crime families and about the black market of organ transplants I was seriously thrilled to read it. Unfortunately I didn't fall in love with it as I had hoped, still liked it but it could have been so much more. So after I was done reading this I came to find out that this is a retelling of The Princess and the Pea, and I can see that now that I reflect back on it. Penelope is fragile. She can't be touched by anything because she can easily bruise to the point where it is life threatening, which in turn also means she barely ever gets to step outside of her home so you would assume when things get crazy and for the first time she finds herself on her own in the real world she would be pretty disoriented right, well she wasn't. Which is where I had a problem she adjusted so quickly that it was unrealistic, I felt for someone so sheltered she should have had a much harder time figuring things out. 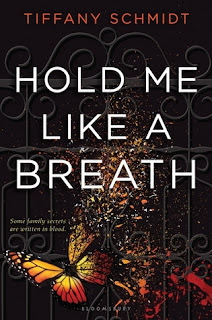 I liked the whole crime aspect of it, which of course is why I picked up the book and what had me turning the pages because there is one thing in this book that would have easily made me dnf it and it was the insta-love. At first I liked the Penelope and Garret relationship and even now I still like Garret over our stalker/insta-love/predictable character Char. Right off the bat I figured him out so when that twist came it wasn't news to me and then the insta-love really killed it for me. Honestly, everything about Char and Penelope together brought the book down for me, otherwise I probably would have rated it close to five stars. I just really did not like the two together, there was no chemistry, it felt forced and I was seriously shipping Penelope and Garret and Char came and ruined it. To be honest, I really do want to see what happens next but I can't...just can't deal with Char and Penelope as a couple. Overall I liked the concept and was really into the book until the insta-love. ~"You've got to pick your battles, Pen, but then fight to the death for the ones that matter. This matters."